The success of Plano’s growing business community is tied to the evolution of the city’s identify over two decades, he said, rapidly evolving from a small community into one of the fastest growing cities in the United States. 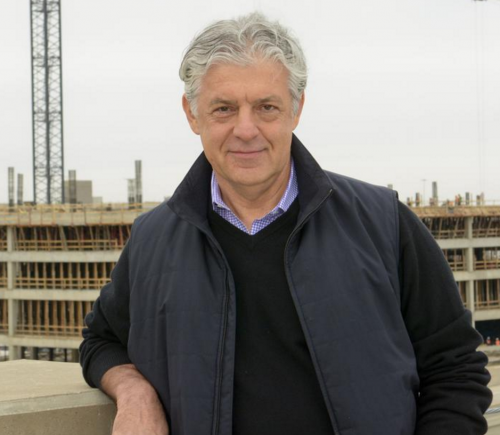 Even master developer Fehmi Karahan is in awe of the Legacy West development — which has been ground zero for the city’s job growth — and what has been accomplished in a relatively short amount of time. Karahan teamed up with Dallas-based development firms KDC and Columbus Realty Partners on Legacy West as a partnership group known as Team Legacy. Plano-based J.C. Penney retained a stake in the land when it sold its extra acreage to the development group in 2014. For JPMorgan Chase, which is expected to employ an estimated 6,000 employees upon the completion of the company’s $220 million, 800,000-square-foot multibuilding campus, it will boost the bottom line. “It will reduce the company’s real estate operating costs in the Dallas-Fort Worth market, savings we’ll reinvest in our strategic campuses to provide the facilities, work environment and accommodations our employees need and deserve,” said Greg Hassell, the company’s executive director of media relations. By the second half of 2017, JPMorgan Chase expects to begin moving its 6,000 employees into the new regional hub. And JPMorgan Chase isn’t the only one expecting to see a boon with a move to Legacy West. Other companies landing in Legacy West expect to see other advantages to setting up significant operations in the mixed-use development, such as recruiting and retaining employees that want to work in close proximity to amenities. Those walkable amenities — ranging from Del Frisco’s Double Eagle Steakhouse to True Food to North Italia — help create Legacy West into a destination for employees, residents and visitors. It helps the new development become a natural extension of The Shops at Legacy, which Karahan said brings the exotic to the flat lands of West Plano and brings visitors a luxurious experience. Size: 9.318 million sq. ft.